CDP Team makes creative stage & dance costumes, summarizing our common knowledge about performance, dressmaking and design. We provide unique and creative designs and taylor made dresses supporting the performer or dancer to express her feelings in the act or dance. Costumes for: Singers, Latin, Standard & Ballroom Dancers, Belly Dancers, Skating Dresses, Magician costumes, Magician assistant costumes, Circus Costumes for aerial artists, acrobats, jugglers, hula-hoop, contortionists, equilibrists, etc…. ALL COSTUMES ARE MADE WITH SWAROVSKI CRYSTALS! Our team pay huge attention on preparation of stage costumes. We talk over all the tiny details to fulfil the requirements of the Customer. We work together with professional dressmakers, tailors with big experience in dance, theater and show business who prepare stage costumes both for male and female performers. Our working partner in the process is a professional painter, who has huge experience in painting designs prepared by the CDP costume designer even with 3D effect. We send a measurement table and ask the Customer to send us all the relevant measures. We choose the fabrics carefully, matching the requirements of the Customer, focusing on the quality.Or main partner in fabrics is Chrisanne. The timeframe of the costume preparation depends upon the complexity of the design, availability of the fabrics and ongoing sewing projects. When the costume is ready, we send a photo of the dress, and after the full payment we will ship the costume via DHL. The female dresses could be adjusted – to make them narrow or loose. If you find any problems, you can send back the costume within 15 days and we adjust the problem free of charge. 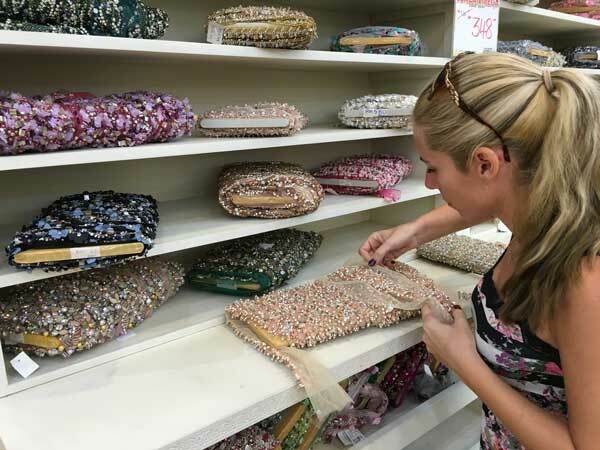 If the costume needs rhinestone decoration, we use only Swarovski Crystals, because we believe that they give real value to the stage costumes thanks to their special cutting technology.